The CAO DAI religion of South Vietnam, which first appeared in 1919, is an important segment of Vietnamese religious life. 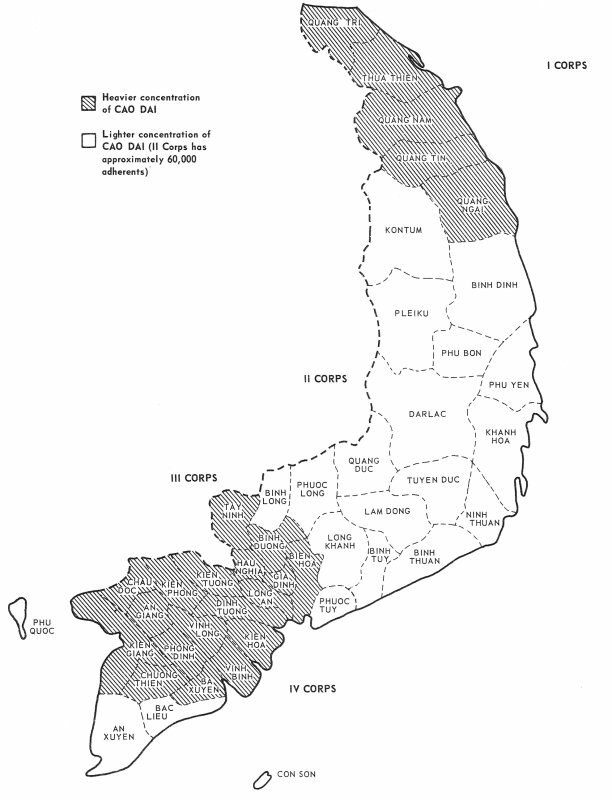 The CAO DAI claim about two million adherents in all of South Vietnam, with some 60,000 in the five provinces which make up I Corps and another 60,000 in the six provinces of II Corps. "The Cao Daist Missionary Church" is the English name of this religion in I Corps, and the CAO DAI Temple in Danang serves as headquarters for all of I and II Corps and the Saigon area. Because of its uniqueness, its' comparative large membership within the total population of South Vietnam, and the various religious factors which have influence, it is imperative that Americans know what this faith is, what its adherents practice as a result of their beliefs, and what factors are basic in establishing and maintaining the Cao Daist/ American rapport insofar as religious beliefs and practices are concerned. 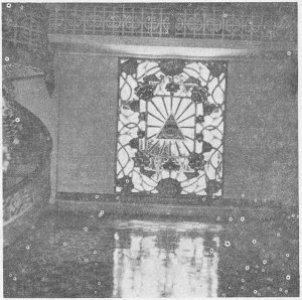 Cao Daism began in 1919 as an indigenous Vietnamese religion composed of "spiritism" or "spirit mediums" and a "ouija-board" type device called corbeille a bec (beaked-bag). It sought to form a synthesis of the fundamental doctrines of Taoism, Confucianism, Buddhism, Christianity and a Roman Catholic type church organization. It was formed in an attempt to create a universally acceptable religion in an area of the world where there is an intermingling of many religious beliefs often found in the same individual. A corollary goal was the promotion of harmonious human relationships by means of a common spiritual life devoid of any religious discrimination. Some Vietnamese religious leaders, who are not adherents of this faith, call it a "salad-religion" because of the bits of many religions which are blended together init. CAO DAI Name: The CAO DAI believe there have been three major revelations of divinity to mankind. The FIRST REVELATION was given to several "missionary saints": Nhiem-dang Co-Phat for Buddhism, Thai Thuong Lao Quan for Taoism, the Emperor Phuc-Hy for Ancestor Worship, and Moses for Judeo-Christian religious concepts. 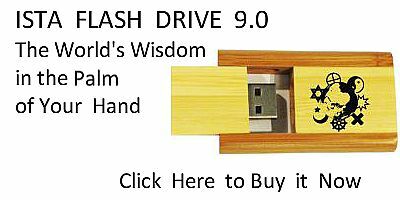 The SECOND REVELATION came later during the period of 500 B. C. to after 600 A.D.--through Lao Tse for Taoism, Confucius for Confucianism, Ca Kyamuni for Buddhism, Jesus Christ for Christianity, and the Prophet Mohammed for Islam. The crowning or THIRD REVELATION OF GOD, according to all Cao Daists, was given on Phu Quoc Island, South Vietnam, in 1919. The official title CAO DAI translated into English is DOCTRINE OF THE THIRD REVELATION. This REVELATION was given by God to Ngo Van Chieu, the first CAO DAI apostle. THE THIRD REVELATION is updated from time to time through the spiritual mediums who utilize the corbeille a bec which spells out current revelations by pointing at letters of the alphabet lying on a board, as some in the Western world use the ouija-board. According to the CAO DAI, God first revealed himself in human form because the human spirit was not yet sufficiently advanced to receive God's teachings directly. At the present time, however, it is believed possible for divine messages to be given directly through spiritual mediums and the corbeille a bec. 1. That Cao Daism is the THIRD REVELATION of Divinity to allow general redemption to all men and, as such, supercedes or corrects misunderstandings of previous teachings. 2. Cao Daism worships the Absolute Supreme God who is eternal without beginning or end, and who is the Creator of all, Supreme Father of all, and unique Master who created and creates all angels, buddhas and saints. c. the lower beings which include both phantoms and devils. from the lowest toward the highest forms. Of all living creatures, only man can become a devil or an angel because he has a special soul; and his position is determined by the effects of his works. 4. Cao Dai believe that the human soul may "go up" or "go down" the ladder of existence, and that man by his will and action determines the direction. 5. The ultimate goal of Cao Daism is the total deliverance of man from the endless cycle of existence in order to realize a life of supreme perfection. To them, man is created through the natural cycle of life and death, and possesses an immortal soul which is sacred. This soul must eventually obtain release from the cycle for complete victory. 6. The worship of ancestors is a means of communication between the visible and invisible worlds; between the living and the dead; and forms a means of expressing love, gratitude and affection for the ancestors. 7. Cao Daism also teaches, in its ethical concepts, equality and brotherhood of all races, the love of justice, the Buddhist Law of Karma, Buddha's Five Commandments, as well as the Buddhist Eightfold Path to Perfection and the Confucian doctrine of the Golden Mean. 8. Within Cao Daism is a pantheon of saints and deities. On the front of the Tay-Ninh temple, there are paintings representing Joan of Arc, Sun Yat Sen (the founder of the Chinese Nationalist Party), Victor Hugo (the 19th century poet and writer), and Trang-Trinh (famed Vietnamese prophet of the 18th century), etc. 9. Last, but no means least, is the doctrine that Divinity speaks to mankind through spiritual mediums utilizing the corbeille a bec, which is a bag which has a beak-like projection. When this beaked-bag is held by two members of the Law Protective Body of the CAO DAI over a board which holds the alphabet, divinity causes his spirit to move the bag so that the divine communication is spelled out by the beaked-bag tapping appropriate letters which sometimes take the form of verse. Only one beaked-bag exists. For such messages to be accepted as valid and official, the revelation must take place at the Tay Ninh Temple. Other revelations may occur at the main temple of each sect. The Executive Body is composed of a Pope, Cardinals, Archbishops, Bishops, Monks, Nuns and some laity. The Law Protective Body is composed of a 15-man college of spiritual mediums that regulates the use of the beaked-bag. They therefore act as the interpreters and receivers of divine messages to mankind spelled out by the alphabet board and the beaked-bag. The Executive Body is the third major body of the Cao Dai administration. This body has three agencies-the Administrative Agency, the Agency for the Propagation of the Faith and the Charity Agency. Each Agency has three institutes, each carrying on a specific task. The Charity Agency has the duty of caring for the sick by operating hospitals, aiding the needy, including orphans, the physically or mentally handicapped, and the aged. Within the hierarchy of Caodaism are three major branches: the members of the Buddhist group (Phai Thai) who wear yellow robes as the symbol of the virtue of love; the Taoist group (Phai Chuong) who wear blue robes as the color of peace and the Confucian group (Phai Ngoc) who wear red robes as the symbol of authority. These vivid colors are normally worn only for special occasions and religious rites. Otherwise, the Cao Dai priestly ordered wear white robes, but the wearing of black robes has occasionally been observed. Currently, Caodaism has the positions of Interim Pope, 3 Censor Cardinals, 3 Cardinals, 36 Archbishops, 72 Bishops, 3,000 Priests, an unlimited order of ritual priests, the order of ritual servers or temple servants, and the laity. Ordinary members of the Cao Dai clergy may marry and raise families, as do some of the members of the Eastern Orthodox and some of the Oriental Rites of the Catholic Church. Those above the rank of priest are not allowed to marry and must remain celibate in order to commit their total energies to the religious life. Nuns may occupy all positions up to Cardinal. Vegetarianism is required of all orders of the priesthood, but not for the laity. Currently there are several major sects or denominations of the CAO DAI whose existence dated from the time of the French occupation in Vietnam. But these have considerable interaction as all recognize the corbeille a bec which is kept at Tay Ninh Temple as the channel whereby dogma for the faithful adherents is pronounced for the first time. The CAO DAI denominations and the locations of their headquarters are: (1) Chieu-Minh at Can-Tho; (2) Minh-Chon-Ly at My-Tho; (3) Tien-Thien at Cai-Lay and at Soc Sai Ben-tre; (4) Chinh-Dao at Ben-tre; (5) Minh-Chon-Dao at Bac-Lieu; (6) Hoi-Thanh Truyen-Giao Cao Dai (Cao Daist Missionary Church) at Danang; and (7) the basic CAO DAI Church at Tay Ninh. In 1936 an association called the Lien-Hoa Tong-hoi was formed to unify all the CAO DAI denominations, and it does have some influence. In addition to the formal denominations, there are several other lesser divisions called Minh Ly, Minh Su, Minh Thien, Minh Tan, and Minh Duong. The differences between the sects or denominations of the Cao Dai maybe much less than the differences which divide the "liberal" and "conservative" churches in America, and are certainly not nearly so large as those factors which separate the CAO DAI from the other religions in Vietnam. While Cao Daism has a number of essentially Buddhist elements, the Buddhists of Vietnam disclaim any relationship to them. This attitude may be modified from time to time due to the religio-political struggles, but does not infer an acceptance of the CAO DAI as a valid expression of Buddhism. The CAO DAI, however, with a multi-source religious concept and the conviction that all religions proceed from the same God, might view the matter quite differently. Holy City of Tay Ninh: The original center of the CAO DAI faith is at the city of Tay Ninh which is about 70 miles northwest of Saigon, and within fifteen miles of the Cambodian border. The TAY NINH TEMPLE to the CAO DAI is the equivalent of ST. PETER's CATHEDRAL to the Roman Catholics. The Temple is built on the same pattern as other CAO DAI temples, but in a more grandiose style. Here in a large and an extremely well-ordered compound are found the Temple, a school, a hospital, an orphanage, a home for the aged, a residence for nuns, etc. The very order and neatness of this site, like that of other CAO DAI temple areas, is in stark contrast to the disorder and disarray of the Orient as seen by the "western eye". The Chinese-type ornamented temple at Tay Ninh, with its unusual architectural designs and features, has nine floor levels. These broad steps which start at the front door of the temple and rise toward the altar, represent the nine levels of spiritual ascension possible to the CAO DAI adherent; and also represent the nine orders or divisions of the hierarchy of Cao Daism. This is still true even though the position of the Pope within Cao Daism has been vacant since the death of LE VAN TRUNG in 1934, who succeeded NGO VAN CHIEU as the Interim Pope. The CAO DAI founder, NGO VAN CHIEU, was the head of the church from 1919 until his death seven years later following an intensive practice of mysticism. Then LE VAN TRUNG became its leader until his death. It was during LE VAN TRUNG's period that the CAO DAI developed a firm organization and had their greatest growth. Worship: The laity of the CAO DAI are to pray at least once each day, and may choose one of four set times each day at home or at the temple, at 0600, 1200, 1800, or 2400. Additionally, there are special occasions for services, such as the 9th of January, the anniversary of the First Cao Dai Revelation; and 15 August, which honors TAY VOUNG MAU, the "Holy Mother" of Ngo Van Chieu. 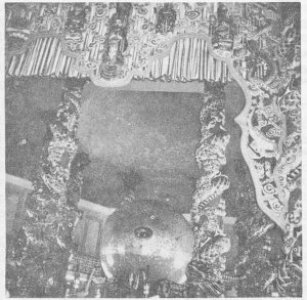 A CAO DAI altar can be recognized by the picture of the all-seeing eye, which is often surrounded by painted cosmic beams which symbolize the Supreme Being's lightened glory. of initiation, which are purity, meditation, wisdom, superior knowledge, and freedom from Karma (the cycle of existence). Also seen in CAO DAI temples is their religious flag, a three section horizontal flag with the top one third yellow, the middle third blue, and the lower one third red. These colors represent the major elements of Cao Daism and also the virtues or qualities admired by the CAO DAI. The red is for Confucianism or courage and authority, the blue is for Taoism or freedom, and the yellow is for Buddhism or the virtues of peace and love. Major Appeal of Cao Daism in Vietnam: The appeal which has made the CAO DAI faith so successful in South Vietnam may be traced to several factors: (a) pride in the fact that this is an indigenous religious faith; (b) the appeal of pomp, pageantry and ceremonies of the temple rituals; (c) the content of CAO DAISM, which includes features and elements of the several religions of South Vietnam; (d) the claim of communication with the "world beyond" in a basically animistic culture; (e) the active missionary spirit and the sacrificial attitude which is encouraged; and (f) its organizational structure which provides methods, plans and techniques for a semi-unified working faith with some area in which every adherent may participate or make a contribution. MISCELLANEA: The CAO DAI have a short history which includes involvement in religious, political, and military activities. The CAO DAI largely control certain provinces where they constitute the major population; while in others they often form a strong part of the governmental force. The continuing struggle in Vietnam has witnessed a number of violent actions by the Viet Minh and the Viet Cong, that in general have turned the CAO DAI away from the communist way of life. Particularly offensive was the massacre of 2,791 Cao Dai priests and followers by the communist Viet-Minh in Quant-Ngai in August 1945. The CAO DAI recognize education and cultural and social action as methods whereby good can come to Vietnam and to the CAO DAI. In Quang Tin City within I Corps, the CAO DAI operate a grammar school, a high school and an orphanage. Present plans in Danang include the erection of an orphanage, a socio-cultural center, and the first college in the Danang area. To coordinate activities between the CAO DAI of I Corps and the United States Marines, the III MAF Staff Chaplain nominates a chaplain as liaison to insure that all help rendered is relevant, practical, and consistent with the overall objectives and policies of the Navy/Marine Team in I Corps, South Vietnam. The files of this office contain information. gathered by onsite interviews and visits with CAO DAI officials at Tay Ninh, Danang and Tra Bong, and with other Vietnamese observers of the CAO DAI. Vietnamese Province Population and CAO DAI Percentage of population according to CAO DAI Figures.